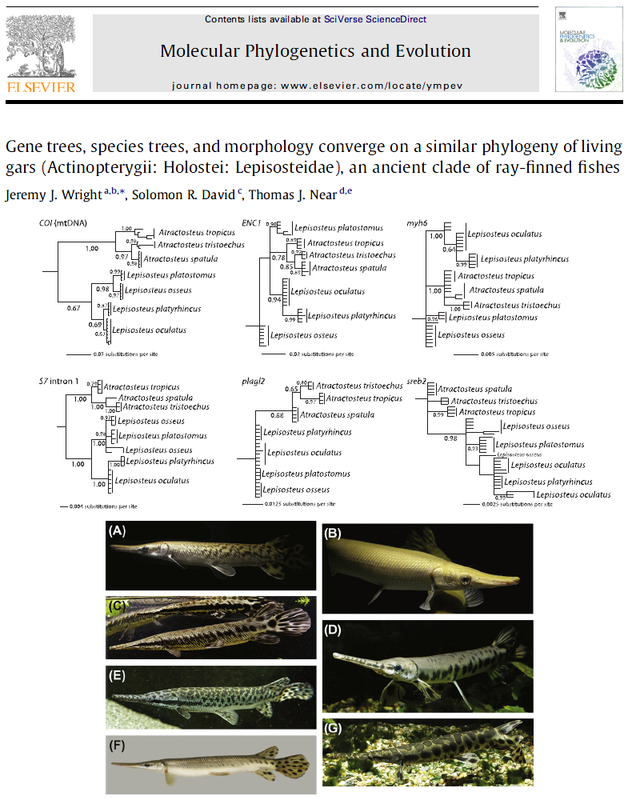 The first complete molecular phylogeny of living gars (Lepisosteidae) was published in the June 2012 issue of Molecular Phylogenetics and Evolution. Abstract and table/figure summaries are available HERE. Researchers and others interested in the full article please contact me at solomon.r.david@gmail.com. Many thanks to all involved with completing this important analysis! Massive spawning group of longnose gars (Lepisosteus osseus) in northwest Ohio. Article by Toledo Blade on longnose gars and other fishes observed spawning this season located HERE. In anticipation of my upcoming trip to Villahermosa (Tabasco state, Mexico), here is a great video put together by colleagues at the tropical gar aquaculture farm (Otot-Ibam) highlighting their gar production. Great shots/sequences of gar development and the culture process. I’ll be presenting at the 4th International Meeting on Lepisosteid Research in mid-June, and we’ll get to tour the farm as well as participate in workshops. Students (from left) Paige O’Malley, Matthew Moroney and Courtney Stauderman remove an alligator gar from a holding tank at the LSU AgCenter Aquaculture Research Station in Baton Rouge. 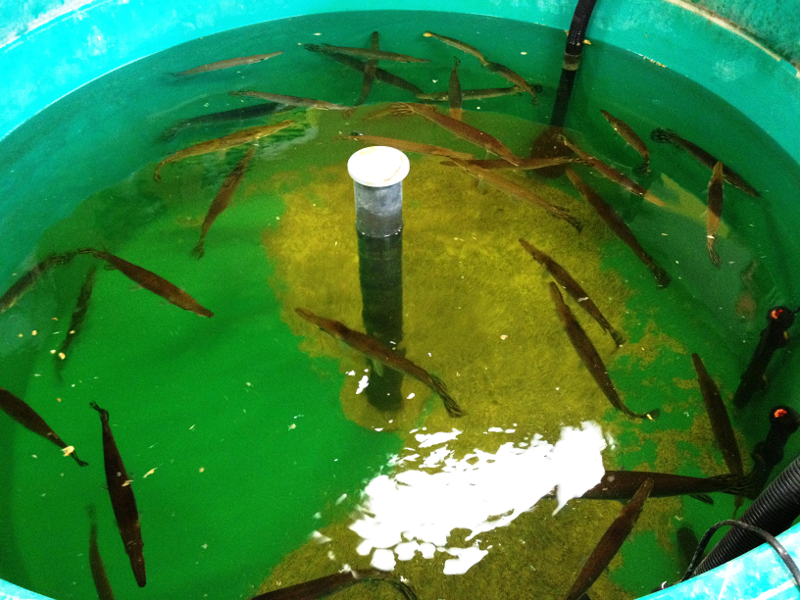 The gar were spawned in holding tanks as part of a research project studying methods of rearing the fish in captivity. 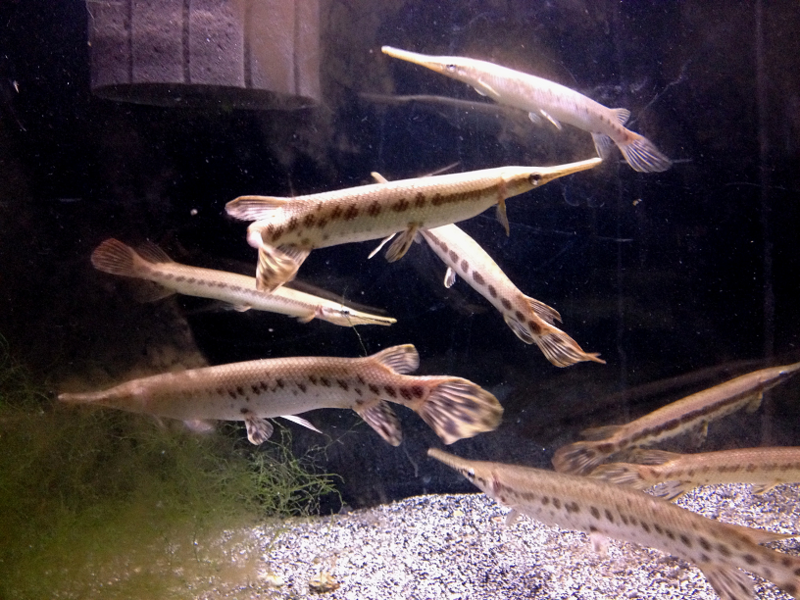 This site is dedicated to all things involving gars (members of the family Lepisosteidae, aka garfishes, garpike, lepisosteids), primarily focusing on ecology, natural history, conservation, and current research. All Images © Solomon R David 2012 or used with permission. No images may be reproduced in any way without direct permission from the author.